We are now 24 days away from Christmas…the holiday count down begins! Last year, Matt and I gave away over 200 jars of our homemade jams, jellies, salsas, pickled veggies and an assortment of other goodies. This year we plan to do the same thing but we are trying to figure out what else we can add to our Christmas baskets. What about some infused vinegar and/or oils? Sounds good!?! They are wonderful tasting, beautiful looking and relatively simple to make…all you need is a little patience as it is a bit of a waiting game. We are just in the knick of time to get these vinegars started so that they are ready for our holiday baskets as most vinegars need between 2-4 weeks to mature. So, for those of you interested in adding flavoured vinegars to your list of holiday gift ideas now is the time to start. This morning, I went out in search of some cool bottles suited for this task as well as a few ingredients. 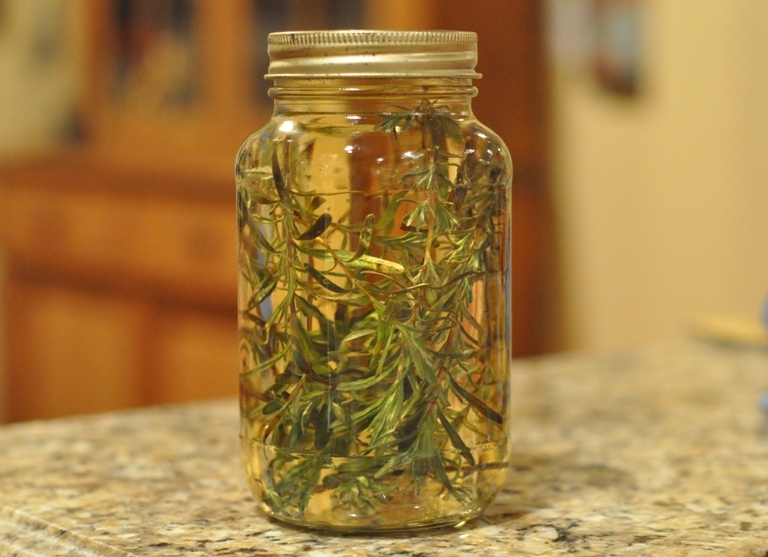 Most glass bottles can be used for storing infused vinegars…even the glass bottles that your vinegar comes in. So, if you plan on doing this, think about saving those interesting bottles and jars throughout the year. Maybe your friends and neighbours would save some of their bottles rather than recycling them…afterall, repurposing is better than recycling. I did manage to find a few bottles at our local dollar store, a great place to pick up some interesting storage vessels without spending too much. But, in all of my rushing around I forgot to purchase some new corks for stoppering the bottled vinegar. (Ahhhh, tomorrow we go to puppy class so I will pick them up then.) Our plans are partially on hold until I get those corks. Corks or plastic screw top caps are the best to use with vinegars as they are non-corrosive and will allow you to keep your vinegar longer. Corks can be picked up from your local kitchen supply store or wine-making establishments. Clip lavender off plant and rinse throughly to get rid of any insects. Note: trimming lavender plants helps to promote new grow. Shake dry, and blot with paper towels. Remove the woody parts of the stock and trim to fit your bottle. 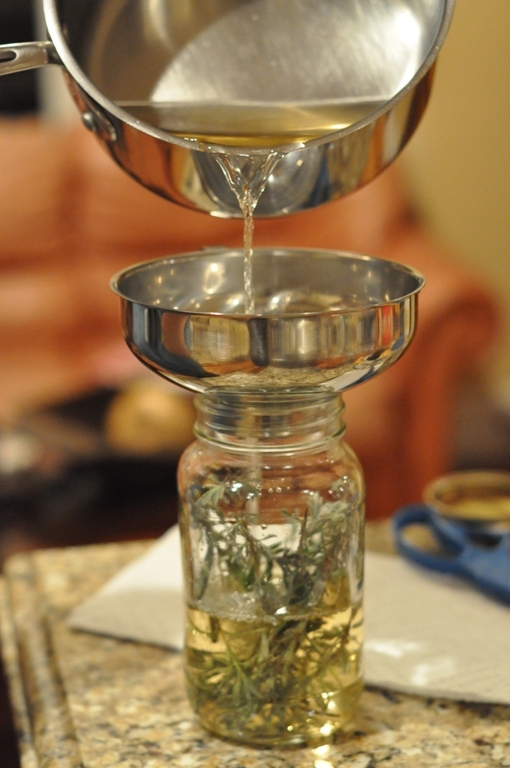 Note: the lavender should stand about 3/4 as high as the vessel . On medium-high heat bring the vinegar to a simmer, then remove from the heat and let it cool slightly. 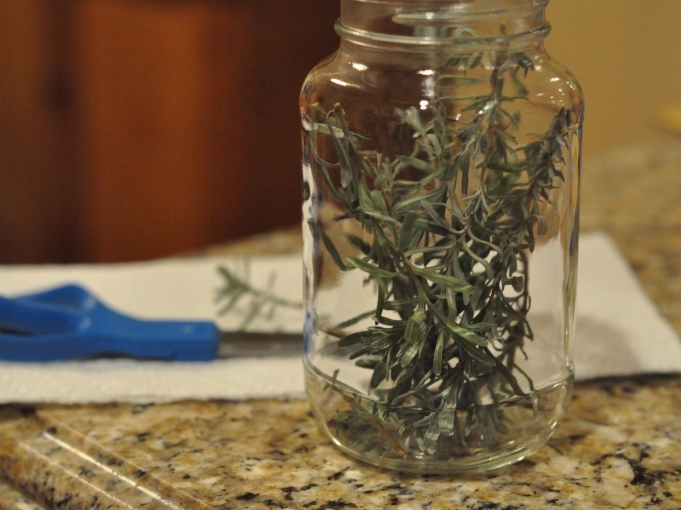 Pour the vinegar into the jar using a funnel making sure to cover the lavender completely. Place a sterilized lid on the jar and leave it to stand in a sunny spot for 2 to 3 weeks, giving the bottle and occasional shake. In 2 to 3 weeks…strain the vinegar through a sieve lined with a dampened cheesecloth. (Note: dampening the cloth ensures that the vinegar is not absorbed by the material…you want all that goodness to be bottled). In a non-reactive pot, gently heat the vinegar just to a simmer, then strain it a second time. Cover loosely with cheesecloth and allow the vinegar to cool to room temperature. 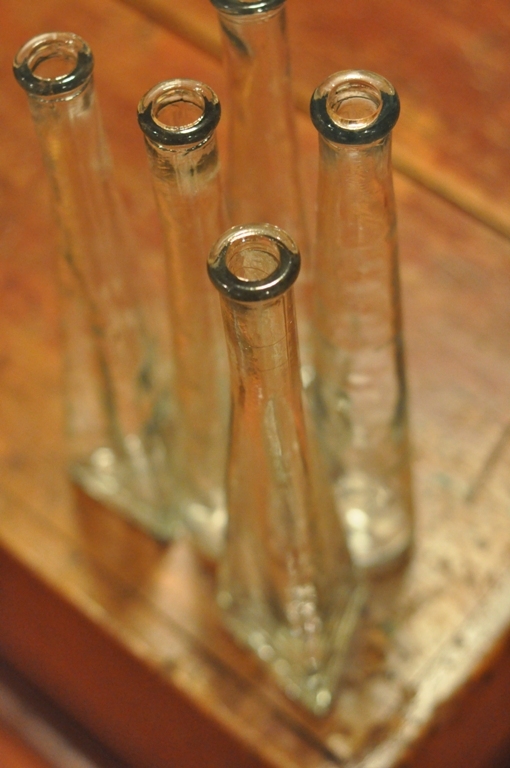 Carefully pour vinegar into 1 or 2 clean, dry, sterilized bottles. Cap or stop the bottles with corks. Seal with wax. And, that’s that! Easy eh!?! In 2 to 3 weeks I will show you the finished product…I guess, until then we’ll all have to be patience. That’s the tough part. Wow, I never thought to put lavendar in vinegar before. Cool. do you use this for cooking or cleaning? and how so? This vinegar has a beautiful sweet taste…almost dainty. 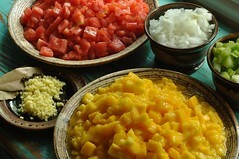 It would make a great dressing for a light salad or add a splash to change the taste of mayo. I use vinegar as a fabric softener in the rinse cycle. Thanks for the idea to make the lavendar vinegar. I know your intent is culinary, but it will be a wonderful addition to my laundry!